Have you heard of Berber’s Treat? To use it as a face mask, scoop some gel with your fingers, make sure your face and hands are completely dry. Then massage the gel all around your face, careful around the eyes. Wait about 5 minutes and you will feel a thin layer form. If you have dry skin, don’t leave it for long, just 1 minute is enough. Then, using the Kessa or a scrubbing glove, gently scrub your face while washing it off with warm water and moisturise. When in shower or bath, scoop some gel and carefully rub into your skin. 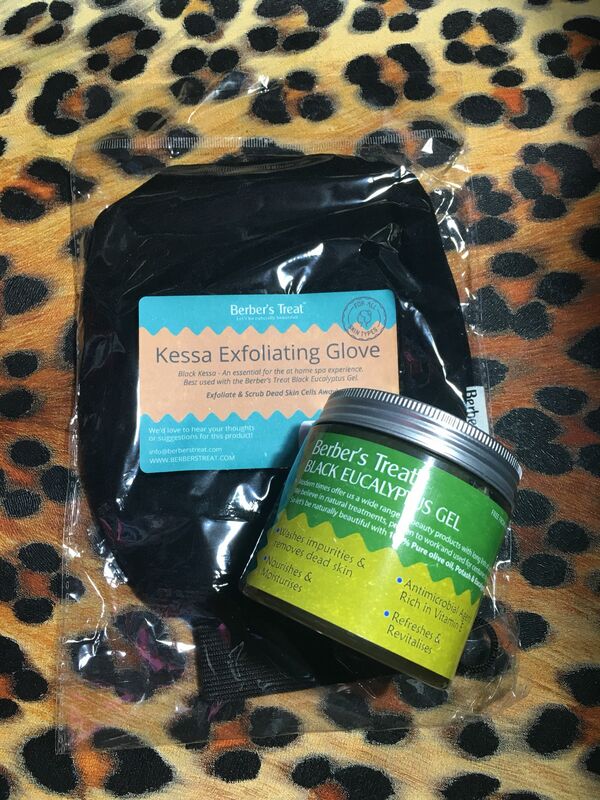 Once your body is covered it is best to wait a few minutes before using a Kessa exfoliating glove or sponge to really scrub your skin and exfoliate, before washing it all off with water. It can be a little tricky at first, it falls easily. Made from 100% Natural ingredients and suitable for all skin types. Contains antimicrobial bacteria fighting agent rich in Vitamin E.
If you suffer with clogged pores, dry skin, oily skin, eczema or psoriasis then using the soap as a face pack will make a huge difference to your appearance. Always like a fully natural product! I need some more exfoliating products. This looks great!